Light golden colour with green hues with honey and lemon scents composing a highly aromatic bouquet. Its lively acidity level binds the flavours and boosts the basic flavour and structure of this great sweet wine. The finish is long with a prevailing taste of honey. 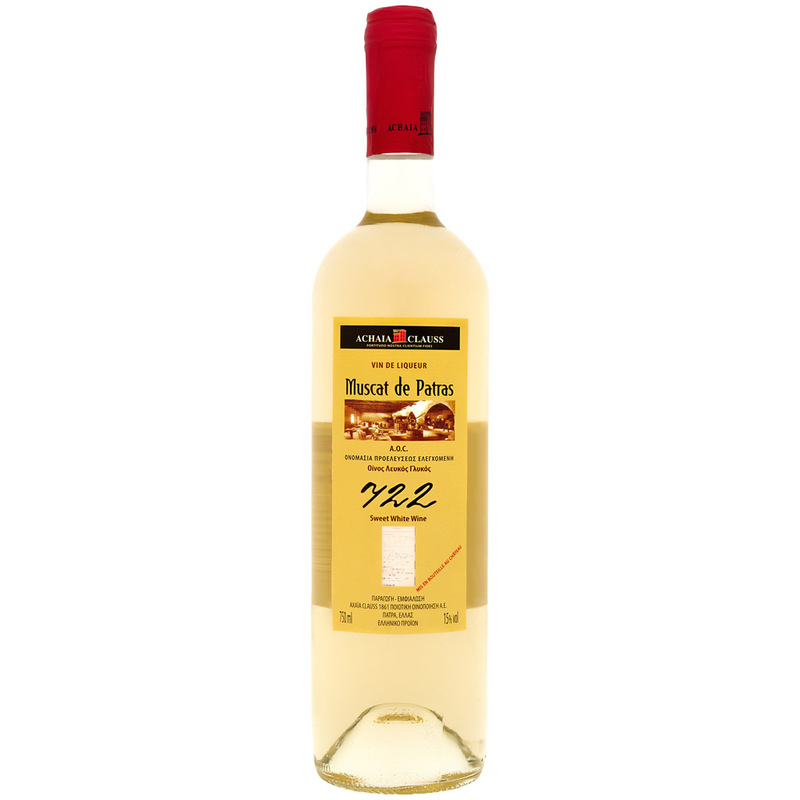 Muscat of Patras can be an ideal aperitif accompanied by roasted almonds, dried apricots, glazed fruit and also a dessert wine combined with fruit, pastries, orange cream, ice cream and sorbet. It perfectly complements strong cheeses. Best served at 8-10°C. Upon delivery of the grape must and before alcoholic fermentation starts, alcohol of vinous origin is added. This is how the wine Muscat of Patras retains all the sugars from grapes, and its aromas are exclusively varietal (primary).